Use the Library Catalog to access print materials available for suggested topics. 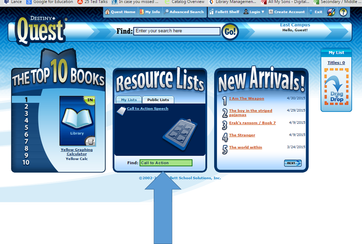 Check out the "Resource List" section in the center of the page. Click on "Public Lists." Then Search for "APWH Inventions." Books can be used in the library. Biography in Context - Research by the name of your inventor, if you have it. 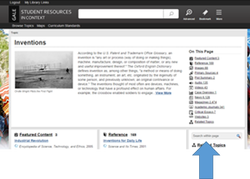 Student Resources in Context - type "Inventions" in the search bar and select the bolded heading for inventions. See the arrowed section at left to find where to search within the "Inventions" results for your topic. Focus on the reference resources, but the image and video resources may also be interesting.